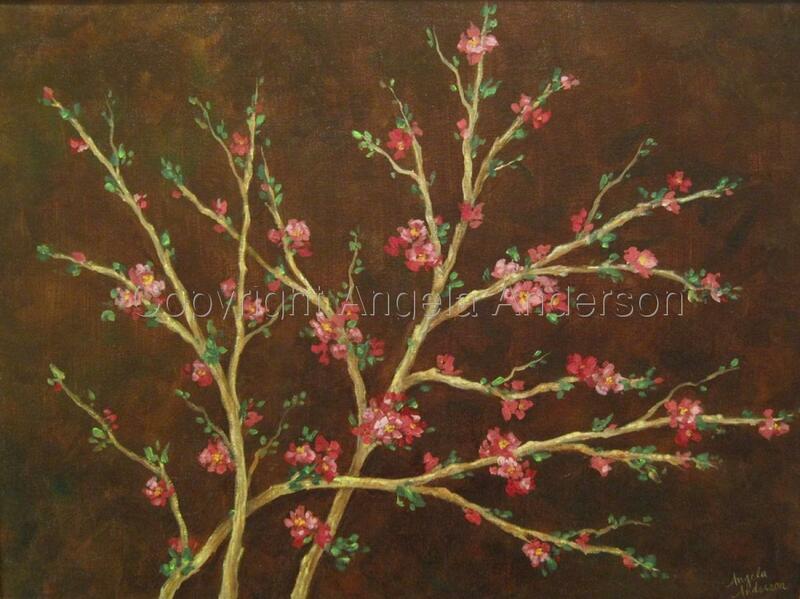 Gorgeous red and pink blooms flourish on branches of Japanese quince. This piece is framed in a light golden brown distressed wood frame. 5" x 6.625"7" x 9.375"9" x 12"11" x 14.75"13" x 17.375"16.5" x 22.125"